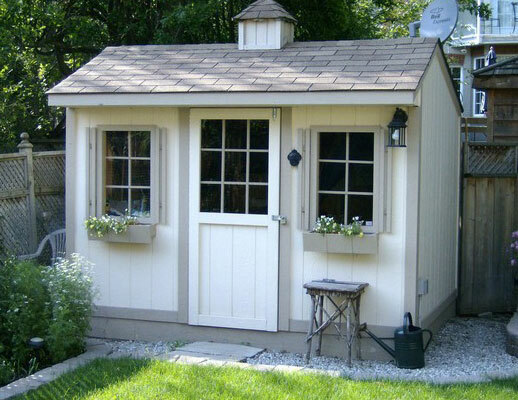 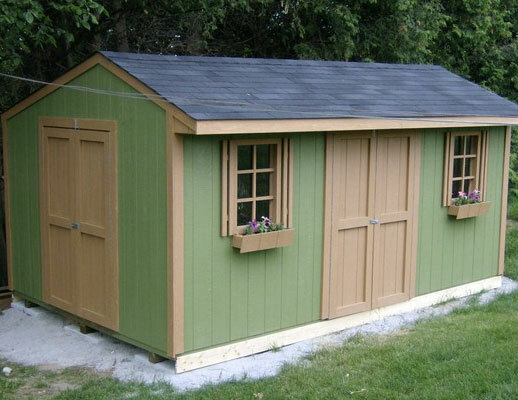 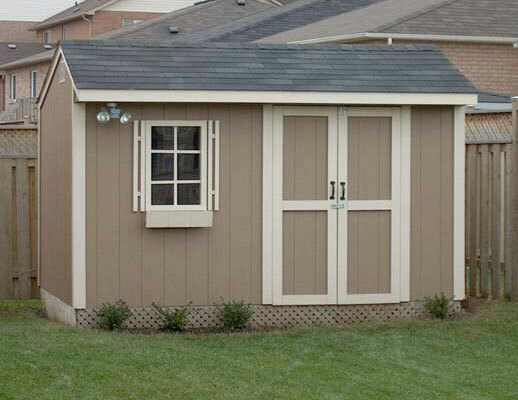 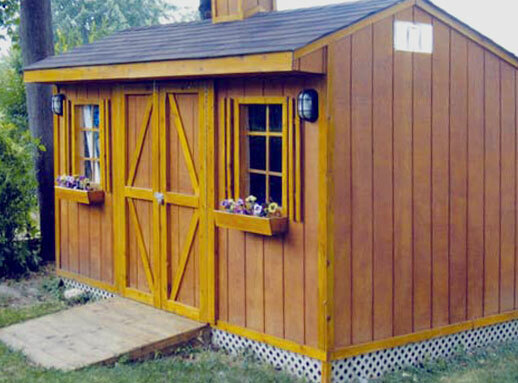 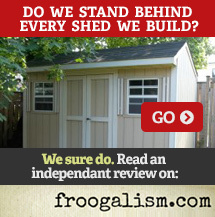 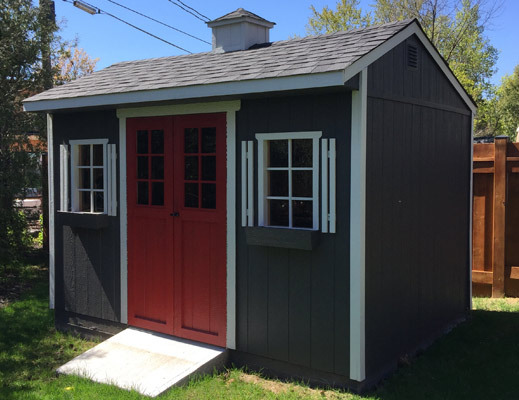 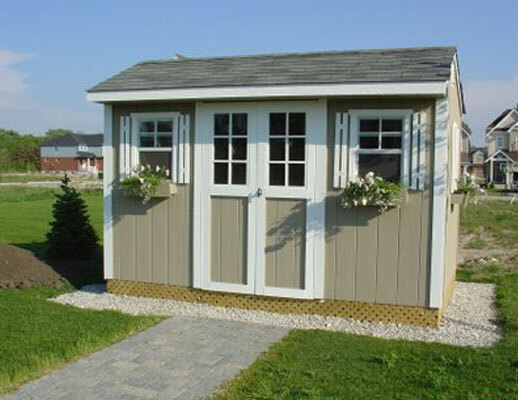 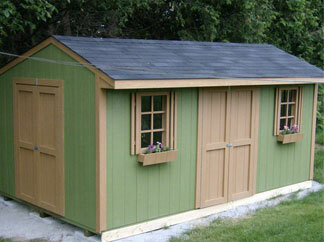 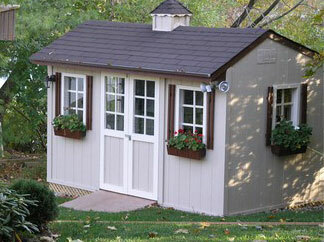 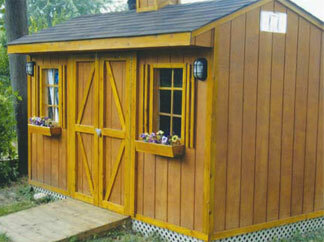 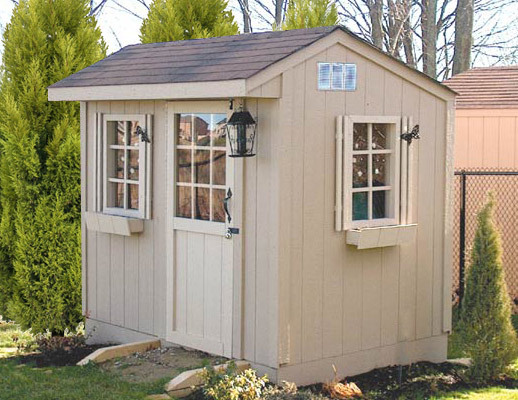 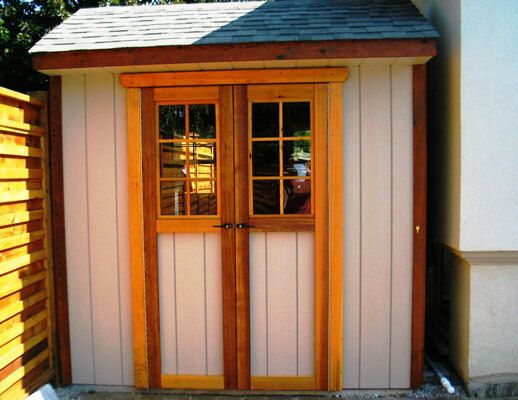 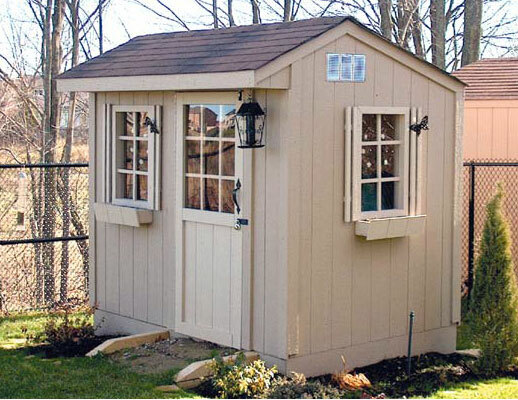 Our most popular and best value shed. 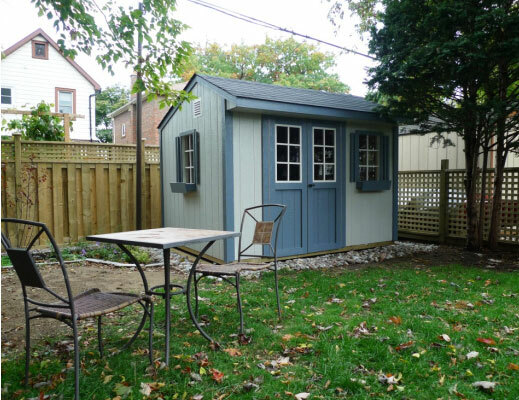 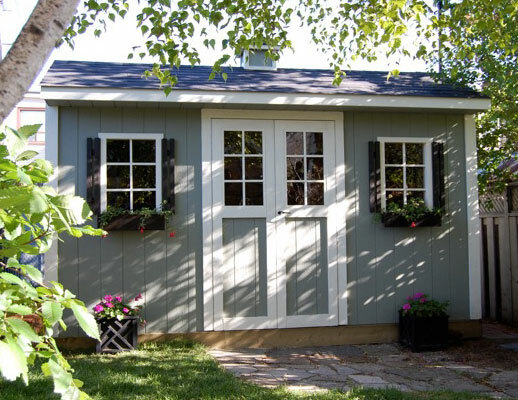 The Carriage House has an off-centre peak and comes in a variety of sizes and configurations. 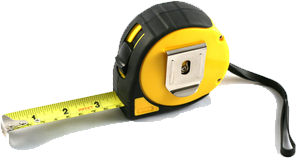 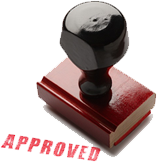 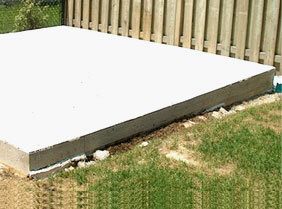 Prices shown includes construction on your foundation. 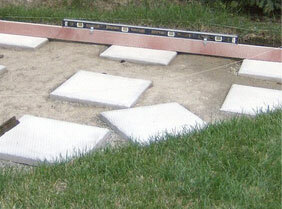 Skirt by and lighting by owner. 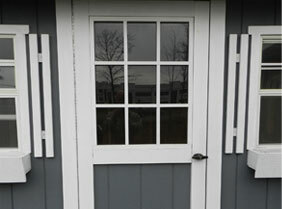 Skirt and lighting by owner.